You'd buy new lids then or use another method to reduce cost? 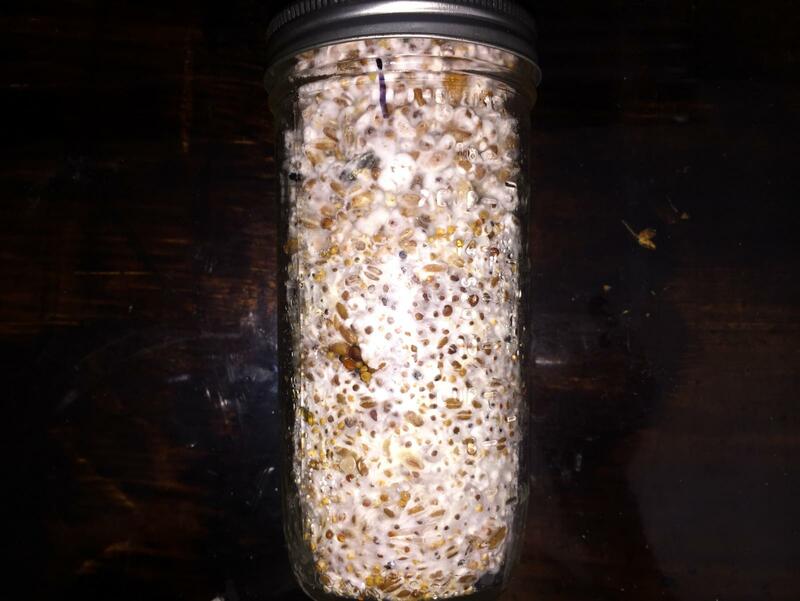 You know I've decided to start fruiting jar#2 It looks great all around. I have my doubts on jar#1, which I banged the hell out of today and it kind of separated in two sections. One solid piece (about 70%) that wont break off and the other part that turned to loose grain that has light mysc. dust all over them. I'm thinking to do a top-bottom layers of the bulk mix I got. Does a 1cm think sounds alright? keep between 80-90% rh? 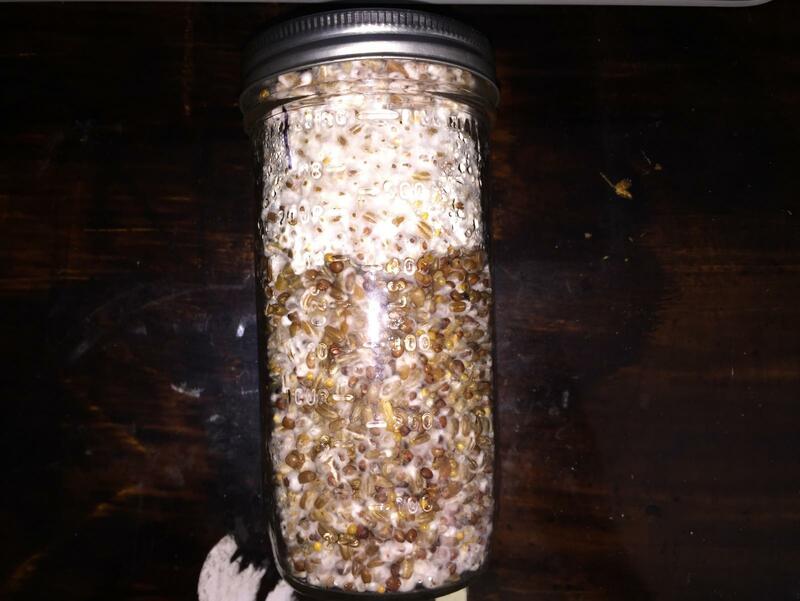 Should the bulk mix be wet? Edited by TheArchangel, 03 January 2019 - 05:05 PM. I'd use em once more if I were you, they seem too be in pretty good shape if they look anything like mine. A tiny rust is no prob, its whether the filter disk looks completely melted, which it isn't. Go for it, I would. After that, you can take out the filter disk and use something else as a filter and apply new RTV for an injection port. But metal lids are cheap. After using them one more time I'd invest in some plastic lids. They last pretty much forever and you can use something simple like a 2 hole setup. 1 covered with RTV silicon as a SHIP, the other covered with micropore or tyvek or polyfil or a smaller synthetic filter for GE... you get the idea. You don't even need a drill for plastic lids, just something metal like a screwdriver, and fire. Heat it up and poke it through for a nice clean hole. The simplest method is 1 single hole, filled with some polyfil, and you inject straight through it. It works nicely, too, but I prefer a Self Healing Injection Port. You can do this with metal lids, too, just hammer a Phillip's screwdriver through the lid. There are a bunch of lid teks in the vaults and archives, but I summed up the 2 most widely used. Edited by Deleena24, 03 January 2019 - 07:08 PM. Yeah I ran across them when I was researching about LC. I may purchase some plastic caps I've seen on amazon that are already made for this purpose since they last longer. Then fix them with one of the techniques when the port(s) are not good anymore. Both jars 1 and 3 are recovering nicely after having banged the hell out of them. When do you think they'll be ready to case? 4-7 days? This is what became of jar#1 It's being fruit as a cake, broken in 3 pieces as I couldn't get the whole thing out of the quart jar. Don't mind the low humidity, it's being taken care of. I'm getting a humidifier unit tomorrow and I'll post about how I've configured the martha on another thread. Edited by TheArchangel, 06 January 2019 - 03:22 PM. Give them a few days to consolidate and turn completely white. 4 to 7 sounds perfect. Fruiting grain as cakes will work with the casing on top, but the yields aren't great. If you have no idea how to work with bulk I discovered that Organic Miracle Gro works right out of the bag. Just add water, microwave for 7-9 minutes, and mix it with your grain after it cools. Yeah I'm gonna case the next one or two but I didn't want to try my luck at casing for the first time with the one, specially since it was going to take longer to fruit. I got two bags of manure based substrate from O.G. If it goes well casing may be my way to go for the most part. Also do you mix it up or sandwich the broken pieces of the cake between two layers of substrate? Edited by TheArchangel, 08 January 2019 - 08:03 PM. 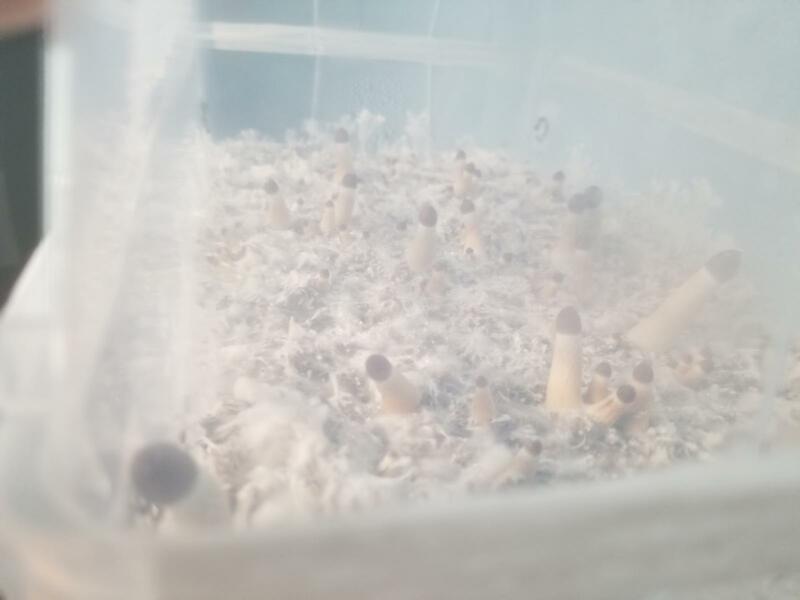 I just listed a bunch of pictures of my bag grows in a recent thread asking about grow bags. They really do work well. Edited by Deleena24, 08 January 2019 - 09:04 PM. Thanks, I'm reading that thread and I'm thinking to do this method for 1 of these 1-quart jars to see how it goes. Do you think this is a good spawn to bulk ratio (quart jar to 1-pound hpoo bag) that could be ready to pin in 10-15 days? How about 1/2pint BRF jars, 4 to 1? I'm looking for a simple method I could learn and improve later in pursue for larger yields. More important at the moment is a ratio that could be fully colonized in no longer than 15 days. Even at 1 pint to 1 lb it should take no longer than a week to colonize. 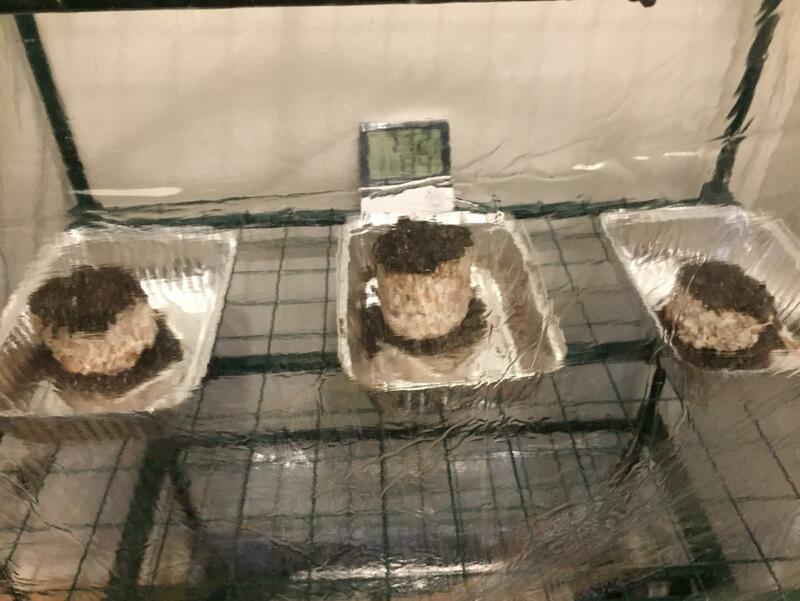 I've even done single half pints to those and bc of so many innoculation points of the brf, they colonized in about 10 days. Did pretty well, too. Cool. Wish I had come by this before. It sounds like the best step up from pf tek jars and easier method too.